I’m going to be at FinCon this week. For those who don’t know, FinCon is when many of the personal finance bloggers get together to network, learn, and just be around their own people. It’s always the busiest time of the year for me. This year, I’m juggling bringing the family as well. On the day we get back, my wife may turn around and fly 90% of the way back to do a 2-week Hurricane Florence deployment. It’s a good thing it’s not my 6 year old’s birthday, their dentist appointments, or school picture day on that first week. Oh wait, it just happens to be all those not-so-oddly-specific things. Aside from that, I’m super-excited for the closest I’ll ever have to a happy version of “Bring Your Children to Work” Day. I’m sure it will be much better than the alternative, “Turning Over a Tenant” version of the day. P.S. If you are a blogger at FinCon and want to make some friends, just say almost anything related to Pokemon with my kids around. Hmmm, that certainly doesn’t seem short or easy. In fact, it’s neither. The Atlantic recently wrote around 3000 words on that topic. It’s a very good read. If you have the time, I suggest you just dig in. It took me a few days to read over a number of sittings. (I generally work with very small blocks of time.) Here’s briefly what I learned. I’ll put it in a book report summary form to match with the topic of education. 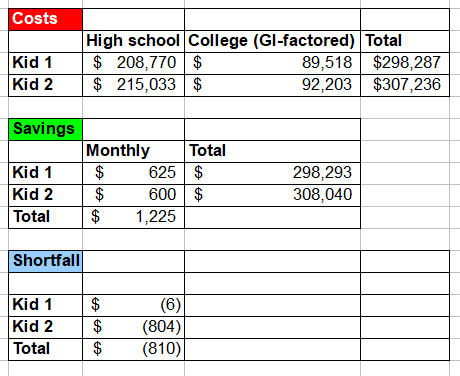 The high cost of college in the United States is unique. It’s nearly twice per student of the average developed nation ($30,000). 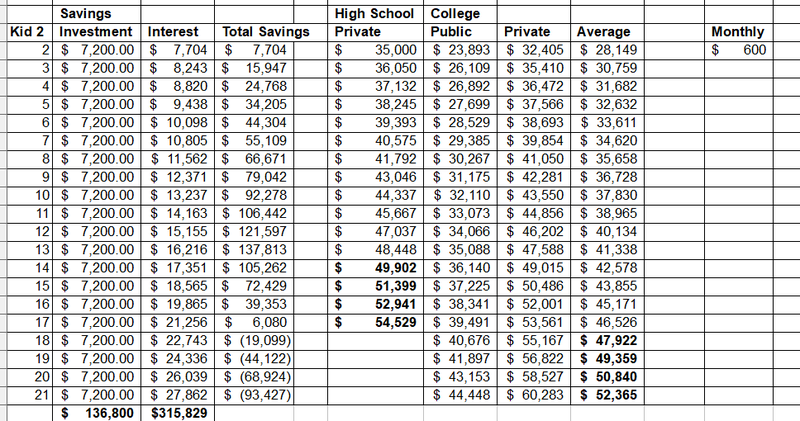 Two thirds of developed nations keep their college costs at $2400 a year or less, with many free. 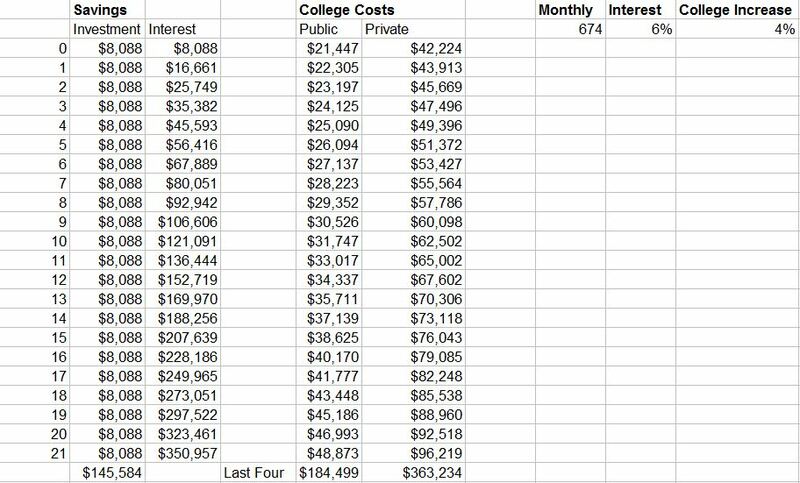 There are few reasons why colleges are so expensive. I covered a couple of them 3 years ago. 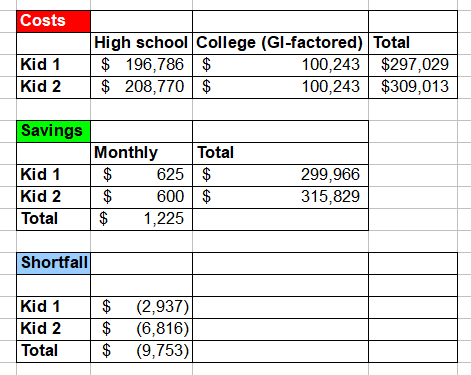 One of the reasons colleges got expenses is because they’ve spent a lot of money in luxury amenities such as lazy rivers, steakhouses, and ski resorts to lure students. However, the bigger reason is that student debt is the problem. As one would expect, The Atlantic goes quite a bit deeper in their reporting. For example, we learn that students in America spend around $3300 on things like housing, meals, health care, etc. In many other countries, students go to school closer to home and need fewer dorms and on-campus meals. The health care is covered differently. You could view some of this stuff as just showing up in a different line-item because there’s an inherent cost to feeding and housing students whether it is at home or at college. In other words, it isn’t necessarily those lazy rivers that I suspected. I’m sure it doesn’t help, but we have to do dig deeper. The Atlantic proposes one answer: It’s the cost of paying people’s salaries itself. The argument (from a couple of cited researchers) is “… college is a service delivered mostly by workers with college degrees — whose salaries have risen more dramatically than those of low-skilled service workers over the past several decades.” The researchers argue that it isn’t much different than “doctors, dentists, and lawyers” who have risen at the same rate since 1950s. The Atlantic agrees that this may be part of it. However, it makes a note that other countries have similar economic trends, so it doesn’t explain why American colleges are still twice as much. The Atlantic also points a finger at the college rankings. Published research ranks highly in the rankings and published professors are expensive. That doesn’t necessarily help the students. Student-to-teacher ratio in the US is slightly smaller. This may seem like it would the students, but there’s conflicting reports on that. 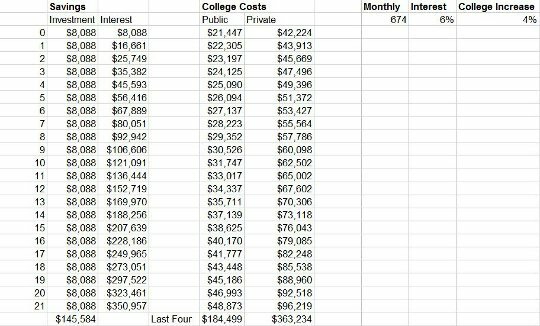 There is also a case to be made that the “net” cost of college, after grants, isn’t that far off from other countries. Costs may start out of higher, but come down quite a bit when you look at the final price. This leads to a predictable problem that I’ve been struggling with (fortunately, I have a decade to figure it out). The “the price varies wildly depending on the place and the person.” It’s one of the reasons why college planning is impossible. While you might be able to figure out the cheapest (or the most expensive) college, it’s really hard to know what is going to be the best value so far in advance. Sometimes it feels like it is enough to make my head explode. I want my children to have every opportunity to succeed, which seems like it’s necessary to engage in this game of Plinko. I just wish it made a little more sense.